It’s so many things right now. I’m constantly fighting fatigue. Having difficulty focusing. Feeling like very little is being accomplished on my long to-do list. It’s the searching, hoping, praying, collaborating with doctors, and teachers, insurance companies, and therapists. It’s the walking on eggshells, the barrage of negativity surrounding me, the field of landmines I walk through daily, trying not to trigger an explosion. It’s not natural. It’s not human inclination. It totally goes against the grain of “fight or flight” that we are inclined to do when we feel like we’re under attack. It’s the maintaining control because he’s out of control. It’s the loss of the dream that he would be my easy child. You see, his light shines so brightly. There is so much intelligence and so much love in his heart, so much kindness and — yes — empathy. He is the one who I KNOW for sure will be all he can be. He is the one with the internal motivation. He is the one who wants so much to help others. He is the one who already has goals of getting a Masters Degree and maybe a Ph.D. I mean, who talks about that when they’re 12? He’s the one who is this wonderful artist, this deep thinker, who always thinks outside of the box. He’s the one who wrote this wonderful essay, Freaks Geeks & Aspergers about autism acceptance. He wrote this piece of his own volition, just a few weeks ago, and read it on the P.A. system for the entire school to hear. He is the one who gets notes sent home about what a wonderful student he is, and what a great leader he is. And yet, right now, he is in such pain that it’s palpable. He’s falling apart, yet he’s wound up tight, like a sling shot. He clenches his fists. His body trembles with anger. He’s a stick of dynamite with a short fuse. So, I speak softly. I indulge him. I try to make him more comfortable in his own skin. I attempt to surround him in a protective bubble, keeping him away from the triggers as much as possible. It’s a lot of work! And it’s feels like all for naught. “I’m working on getting you a new therapist who really knows Aspergers,” I say. And with that, the tears well up within me. “I just need to be locked away from people! I can’t go to school like this!” he says. That’s it. The tears stream down my face. I lose my voice. I cannot speak. He can’t handle my emotion. I can’t control it, although I try. He asks for his father. He needs someone who will stay in control right now. He needs someone to help him understand. Why in the heck is mom crying? I am crying because in this moment, I feel the loss of the dream. The dream that he is the one — the one who doesn’t have the problems like his brothers. Red, with his autism, anger, outbursts, and difficulty with school. Slim, with his anger, intelligence, and dumb life choices. But alas, Blue is not perfection personified. He is human. He has autism, anger, and anxiety. He is a teenager, and he’s got crap to deal with, just like the rest of us. I can’t snap my fingers and make this all go away. It’s not the loss of the dream. About the Author: Karen is the mother of two teenage boys with Asperger’s. 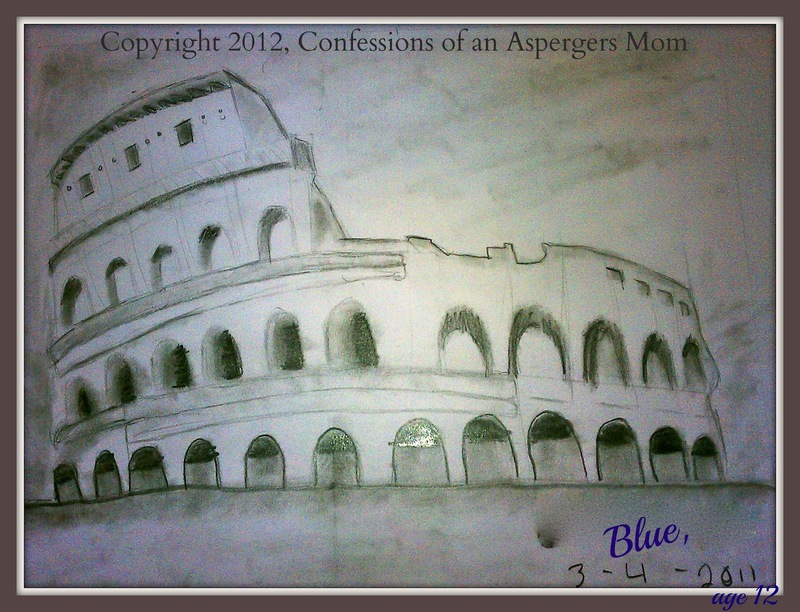 This piece first appeared on her blog, Confessions of an Asperger’s Mom, and is reprinted here by permission. One of the frustrating things I encounter in my work is witnessing the damage done to clients (and to their relationships) by well-meaning therapists who believe Asperger’s and relationships are incompatible. I know, you think I am exaggerating. Really, though, people do think this. Consider a client I’ll call Eloise, who came to see me in a “last ditch effort” (her words) to save her relationship. Having already visited two couples therapists for help in understanding how to relate to her Aspie husband, she was in the process of resigning herself to the “truth” they had shared with her: her relationship could never meet her emotional needs. Her best bet would be to reframe her relationship as a platonic partnership, and to get her emotional needs met elsewhere. The ideas of knitting clubs and online forums had been proposed, and Eloise was in a state of panic. After offering this brief history, Eloise stated her purpose in seeing me. She wanted help in moving through the grieving process. She needed to mourn, she said — mourn the normal relationship she would never have. She wanted to know if I could help her with this grief work, so she could move towards acceptance of this stunted marriage. She couldn’t leave, she explained, because her husband was a wonderful person, though sadly therapists (and books!) had revealed that he was incapable of connecting to her emotionally. The truth is that Asperger’s, and its impact on relationships with self and others, is poorly understood, especially by many clinicians. And certainly no clinician should ever give a prediction for an individual’s lifelong functioning, especially if that person has never been evaluated. Aspies and their partners come to therapy looking for tools and answers, and are often instead given prescriptions for hopelessness. It’s one thing to talk conservatively about treatment goals; it’s another thing to throw out goals altogether. Therapists often tell clients married to ASD adults that their partners cannot feel empathy and cannot truly love. Perhaps the reason I take such exception to this kind of dangerous feedback is that it’s simply not true. All of my clients feel empathy, and all are capable of love. In fact, many times my Aspie clients are shocked to find that their partner’s faith in their love and loyalty can be compromised by a forgotten good-bye or missed eye-contact. One Aspie partner remarked: “How can our whole relationship hang by a thread? It makes me afraid to open my mouth for fear I’ll accidentally destroy my marriage.” Of course, this anxiety furthers ASD clients’ reluctance to establish connection, which furthers their partners’ feelings of being ignored or neglected. Partners with Asperger’s have often spent a lifetime making unpredictable relationship mistakes that carry real repercussions. When the probability is high that your efforts to connect will be met with rejection, it’s awfully hard to justify the logic of continuing to try. Successful relationship therapy involves identifying triggers so that both partners can work towards feeling safe together. This is the foundation of building connection. Clinicians are trained to use good communication to build safety, rather than building safety to facilitate good communication. I’m proposing the notion of working together to establish safety first. This is crucial for creating a context in which people with Asperger’s can experiment with being vulnerable, and non-Aspie partners can experiment with interpreting behavior in brand new ways. About the Author: Cary Terra, LMFT, is a Licensed Marriage and Family Therapist in private practice in Seattle, Washington. She specializes in working with adults with Asperger’s, their partners, and their family members. This piece first appeared on her blog, Aspie Strategy, and is reprinted here by permission. An oxymoron, you say? I don’t think so. In fact, this happens so often during sessions that I’ve begun to think of Asperger’s as a disorder often characterized by too much empathy, not a lack thereof. Before I get started on this idea — one I expect will be viewed with skepticism, at best — let me describe what happened during one such session, one that illustrates my point. My client — let’s call him “Giles” — and I were discussing the use of gaming as a self-soothing tool for otherwise overwhelming emotional states. Giles used few tools of escape, and we both agreed that his immersion in the world of online gaming came with a price. 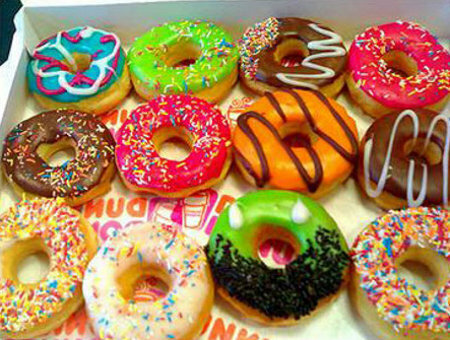 At some point, we compared his gaming to other self-soothing tools, and I mentioned my tool of choice: doughnuts. In response, Giles began to make a case for the harmlessness of doughnut overuse. After a couple of minutes straight of his explaining why I should not feel guilty about my doughnut habit, I realized he was concerned I might have grown embarrassed. I stopped him. Could this be right? Indeed, it was. Giles, this adult with Asperger’s, had sensed I was embarrassed, and was doing his best to make me comfortable. There was no other way to explain it: this was empathy. In fact, many clients have demonstrated the same level of empathy in myriad ways during sessions. I see it when they tear-up describing their pet’s pain. I see it in their silent withdrawal when a parent is unfairly raging. I see it in their pull towards social justice. I see it in Asperger’s men’s groups, during which they are gentle and supportive of each other in ways that violate male social norms. 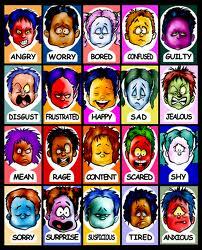 In fact I often wonder if the withdrawal adults on the spectrum resort to is emotionally necessary. If they feel others’ pain acutely, and on top of that, often lack the social skills to offer “appropriate” comfort, what are they to do? Withdrawal and distancing become more than relating styles: they become necessary tools for self-preservation. Picture the plight of the teenager on the spectrum who comes home after school to find parents who are quietly angry at each other. Because he is sensitive, he knows something is wrong. His body is on alert, and he wants to help. Because he is empathic, he would like to offer comfort. However, because he is bright and learns from patterns, he knows that historically, he has said the “wrong” thing in these situations, which has made things worse. He determines, quite logically, that the best thing he can do is go to his room and put on an audiobook. Both parents notice this, and note how little he appears to care about anyone but himself. Adults on the spectrum often over-empathize. To feel deeply, and fail miserably when they try to offer comfort, causes more injury than can be tolerated. Retreating offers solace — and confirms their image as non-empathic. “Autistic empathy” is a powerful experience, and leaves the adult with no way to manage the strong emotions of others, which resonate so deeply. Our job in relating to them is to look past the veneer of calm or indifference with quiet curiosity, to resist the outrage we feel when someone displays so little outward reaction. Partners who do this are met with a rich world of sensitivity and attachment — the world they sense but cannot readily see. Really look at this chart. Would you be able to read emotions off it? Reading people is one of the things that Roger will openly tell people that he cannot do. He can’t tell you if someone is mad, happy, sad, or scared just by looking at them. He has to be told. Well, that is usually the case. If he is around people a lot, he can sometimes figure out what is going on, but not always. When his brothers and sisters start to get annoyed with him, he doesn’t realize they are getting annoyed until they start screaming. Then he backs off. This weekend my husband had a bad week, so he wasn’t in the best of moods. The other kids picked up on it right away. Not Roger. Not until someone told him did he get it. A case where he has noticed would be with me. I have a back injury that causes pain, and sometimes it can get pretty bad. Roger has figured out that if I am quiet and moving slowly, I hurt. Now, he still has to ask, but hey, at least he is picking some of it up. He has even told his stepbrother that if I’m moving slowly, it hurts and to stay away. I think this may be where some of the misconceptions about feelings and autism come from. Just because someone cannot tell by looking at someone how they are feeling that does not mean that they themselves do not feel. Or that they do not have empathy. Look at the charts they give kids to teach feelings. They always have over-exaggerated faces that no one has in real life. Once Roger is told how someone is feeling, he usually understands. He does have some trouble figuring out his own feelings, but just because he can’t always put a name to them doesn’t mean he feels nothing. About the Author: Kitty Kat and her husband have four children, including her son Roger, who has autism. This piece first appeared on her blog, No Guile: Life and Other Stories from Autism, and is reprinted here by permission.